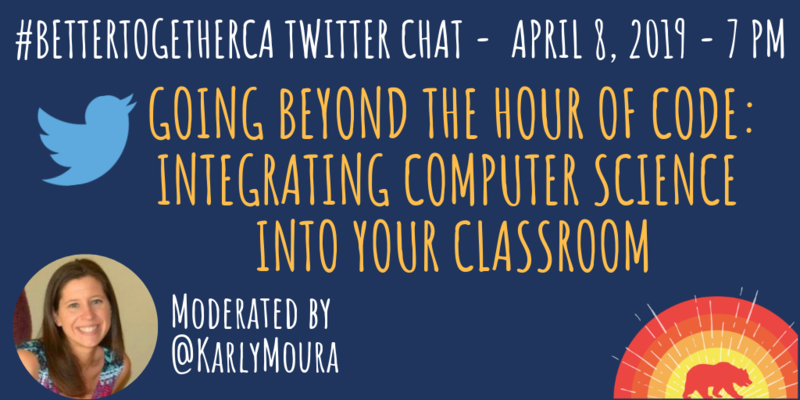 Join us on Monday, April 8th at 7 PM for a #BetterTogetherCA Twitter chat, with Technology TOSA & Computer Science Teacher Karly Moura moderating a discussion on how you can integrate computer science into your classroom! Simply log on to Twitter and follow and post with the hashtag #BetterTogetherCA to participate. You won’t want to miss it!